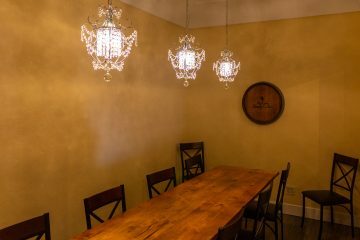 We had just completed our first tasting at Embodied Wines and were ready for another tasting. We had called ahead to McKahn Family Cellars to reserve a tasting table so we knew we were in for a treat. Denise McKahn welcomed us as we entered and showed us to our table. 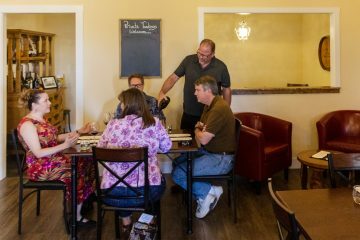 The seated tasting format is gaining acceptance in Livermore, and we could not be happier. 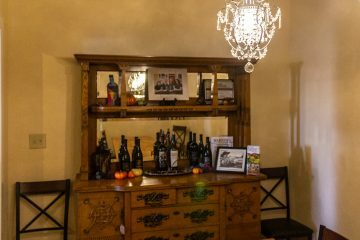 The tasting room was moderately full, with people at four-top tables and along the tasting bar. Denise and her husband, Kevin, were effortlessly handling the happy crowd. 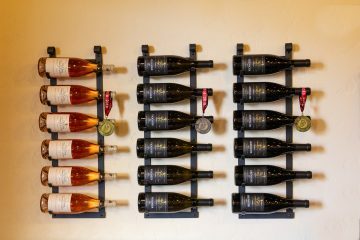 We asked Denise to focus our tasting flight on their newer releases since we had visited a few months ago. With their ample catalog of wines, this did not seem to be a problem. We started with their 2017 Rosé of Grenache. Made from Amador County fruit, Denise told us that her son and winemaker, Chuck, had the grapes picked early at the Jeff Runquist vineyard. He then performed a whole cluster press, keeping the juice completely out of stainless steel tanks. It made for an 18 hour day, but the resulting wine was delightful, bright and light, full of fruit with a ghostlike finish. Their 2017 Viognier was next, made from Katie’s Corner Vineyard fruit. Zesty and friendly, this wine had distinct notes of lemon meringue. We next tasted their 2016 Grenache, from the same grapes as their Rosé. We loved the complex, fruity aromas, the full body (almost on the level of a Zin) and the dry, dusty finish balanced with a bit of acid. Our next taste bore the exotic name of “Morning Glass.” We spent some time speculating about the origin of this name, but Denise told us that it is a water skiing term, referring to the smooth water conditions in early mornings. We found the 2016 Morning Glass blend (80% Grenache, 12% Petite Sirah, 8% Syrah) impressive, with layers of fruit, especially cherry and plum. A few years of cellaring will reveal the full potential of this wine. 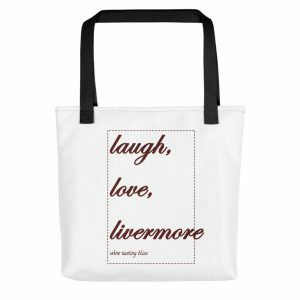 Next up was their 2016 Petite Sirah, made from Livermore’s own Case de Venus fruit. Denise mentioned that this wine had recently received 91 points from Wine Enthusiast. 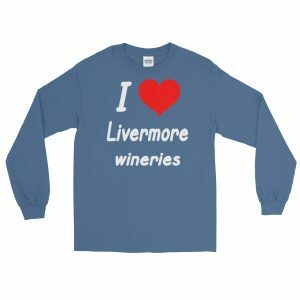 We agreed with that high regard, enjoying the library aromas and flavors of leather and dark fruit. This is a wine that really opens up after opening, so decant if you are in a hurry. We’d lay this down for a while to maximize its potential. 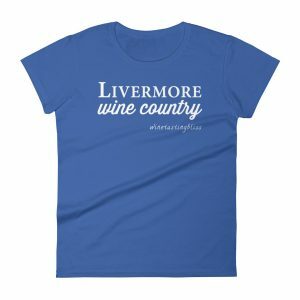 Earning 92 points from Wine Enthusiast, their 2015 Syrah comes from the Valentine Vineyard in Napa. The soft layers of fruit, especially cherries, as well as the intriguing umami notes made this wine popular with our table group. With one more winery on our schedule, we quickly assembled our Take Home list, thanked the McKahn family and set off. At least our next tasting was within walking distance. 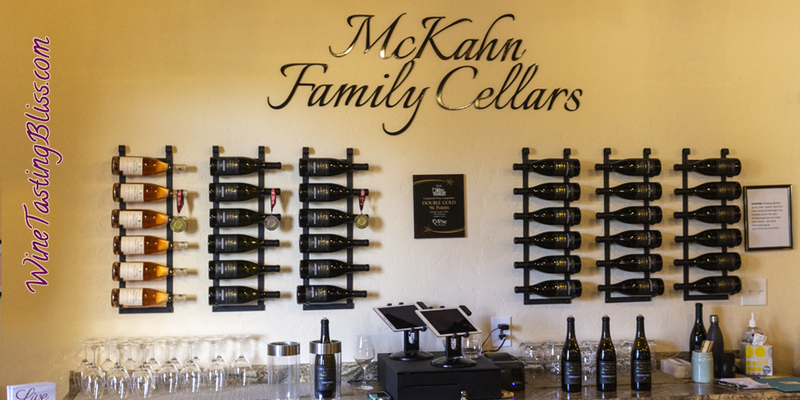 Have you visited McKahn Family Cellars? Click to give'em a tweet of support!